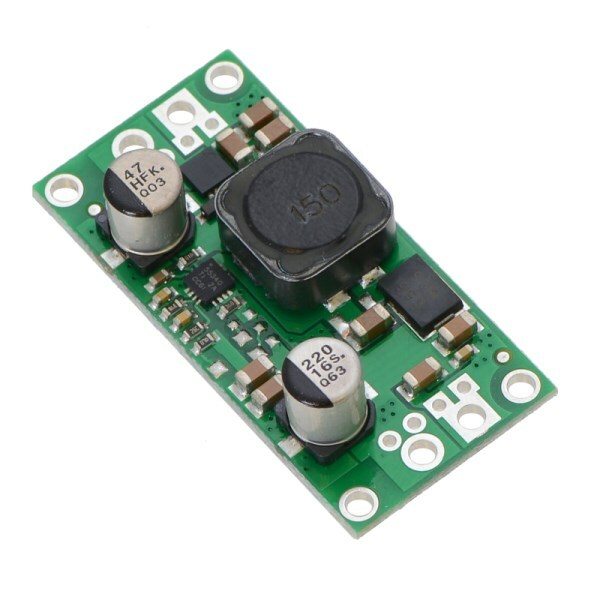 This step up/down voltage regulator produces a fixed 6V power supply from 3-30V at up to 2A. 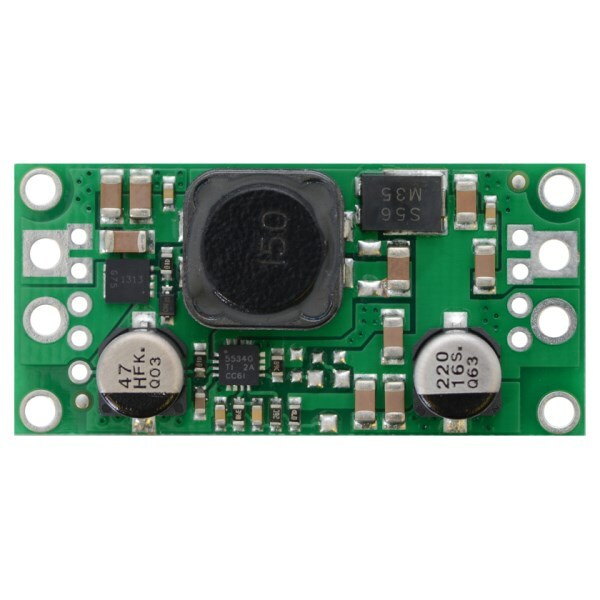 This tiny voltage regulator uses efficient switching technology to convert a wide range of input voltages to a stable output voltage. Input voltages ranging from 3V to 30V are converted to 6V with an accuracy of 4%. 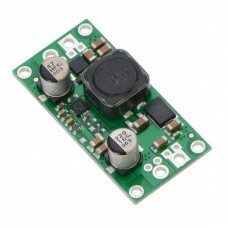 The switched mode DC-to-DC power supply operates at 80-90% efficiency and provides up to 2 amps of current. 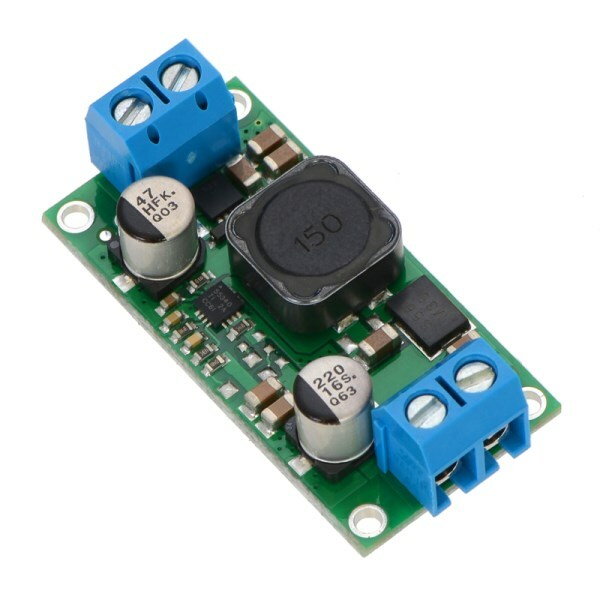 The stable 6V output produced by this step up/step down regulator module is ideal for running standard 6V servos from various battery combinations. 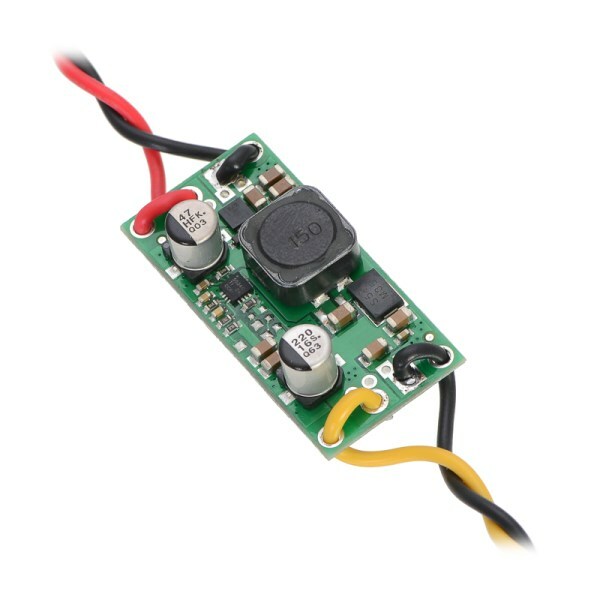 It can boost the voltage from just a few batteries or cut the output from large batteries to keep your servos happy. 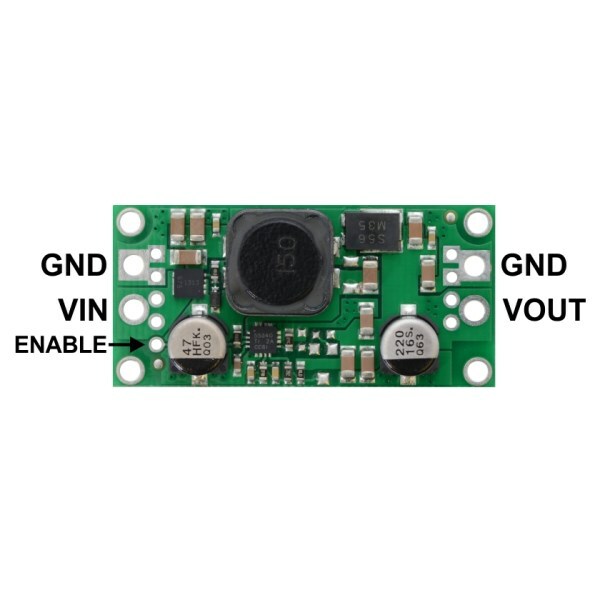 Connect a 3-30V power source to the voltage input (VIN) and common ground (GND) pins. 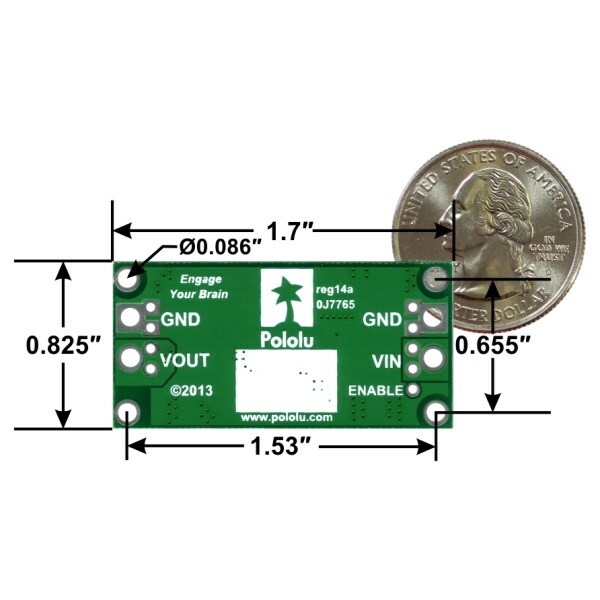 The regulated 6V power output will be available at the voltage output (VOUT) and common ground (GND) pins. This switching regulator module comes with a set of optional screw terminals and male header pins that require soldering.